April Rolling was written by “Soon to be Hiphop/R&B star” Keshawn Wavy. He wrote the track in his darkest moments when he felt alone, lost and heartbroken. When you listen to the track you hear him talking about trying to sell drugs but not being successful at it due to the fact that he used up most of his inventories. But this could all be part of the subliminal messages he throws at us in the track. Genius! Listening to the lyrics of this track, it is truly hard to believe that he is only 15 yrs old. The beats to this trap song has traces of r&b, hip hop, blues, and rap all in one. But the lyrics are off da chain. You must listen to it and you feel his pain and dilemma . 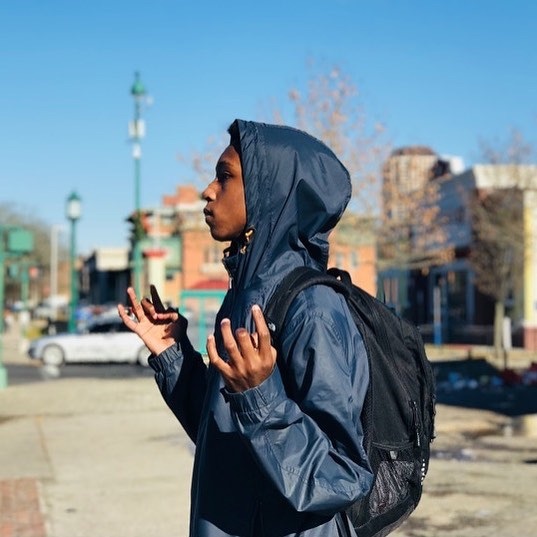 Ke-shawn Irving a.k.a Keshawn Wavy is from Hartford, CT, loves R&B and gets his inspiration from his personal life and also borrows ideas from other artists as well to cook up his unique style. April Rolling was partly inspired by the beat as soon as he heard it. He says the magic happened the minute he heard the beat and then he wrote it instantly. You can find Keshawn Wavy on the following social media down below. This artist has great potential and definitely has what it takes to make it to the top of the music industry. He tells it like it is and keeps it real. So definitely watch out for him and go check him out.